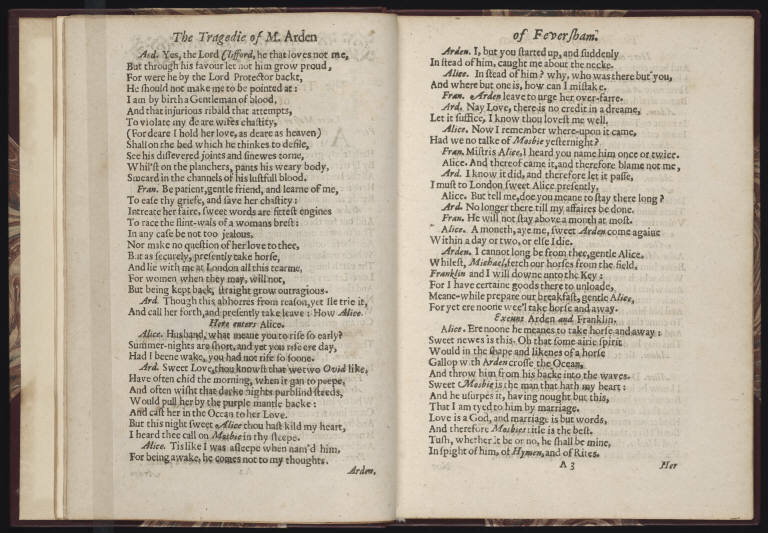 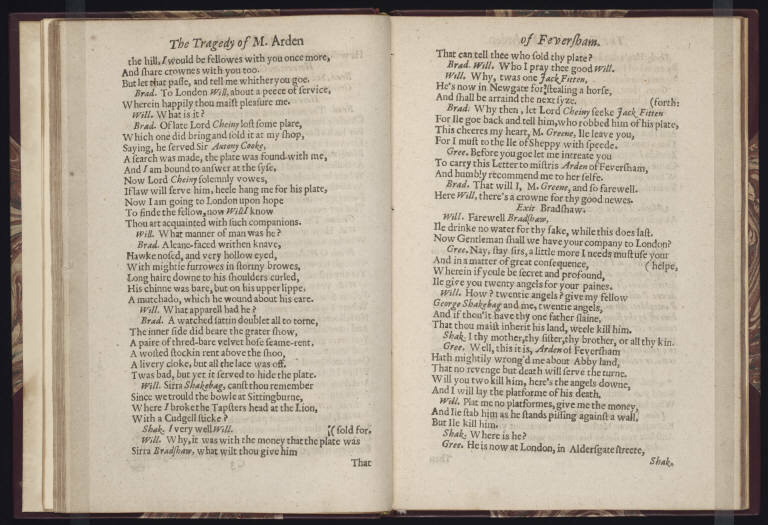 Arden of Faversham is unique among Shakespearean “apocrypha” that have been featured thus far; unlike a play such as The London Prodigal, the tragedy enjoyed no later inclusion in the Third Folio of Shakespeare’s works, and the anonymity of the play’s editions—no “W.S.” attempts to secure its authorship—surely had a part to play in this. 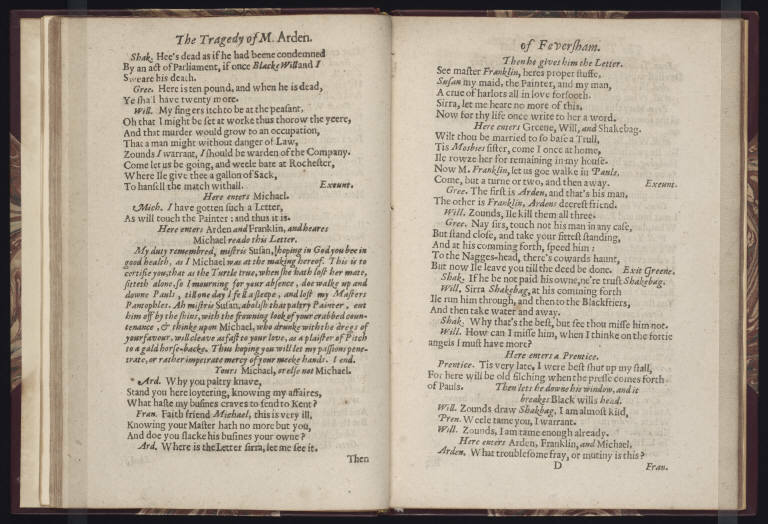 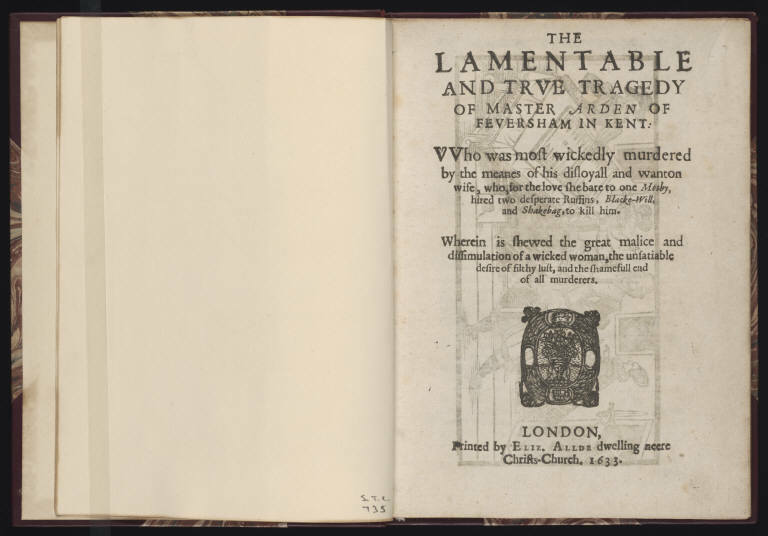 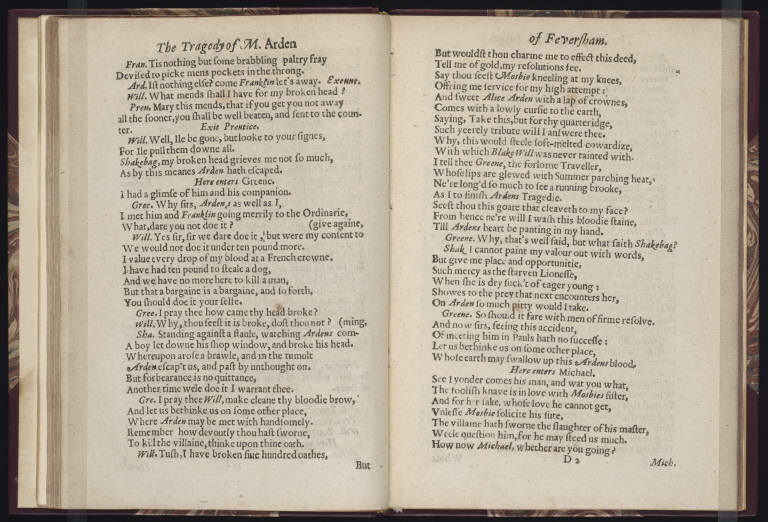 Three quartos of the play were printed in the early modern era, the first in the early 1590s, in 1592, and the second near the turn of the century, in 1599. 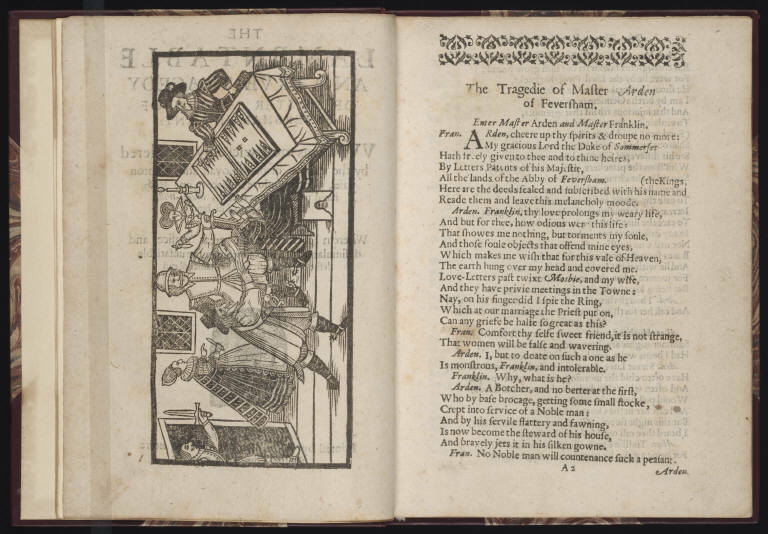 The copy above came out considerably later, in 1633, thanks to the efforts of the printer Elizabeth Allde, a woman printer who took over her husband Edward’s business upon his death.